You must make reservations at least 5 minutes in advance of the time at Hook and Ladder Manufacturing Company. Monday- Friday 11:30 a.m. to 2:30 p.m.
Saturday & Sunday 10 a.m. to 2:30 p.m. Everyday 3 p.m. to 5 p.m.
Monday-Thursday 5 p.m. to 9 p.m.
We have various menus available for special events. We can also do custom menus. 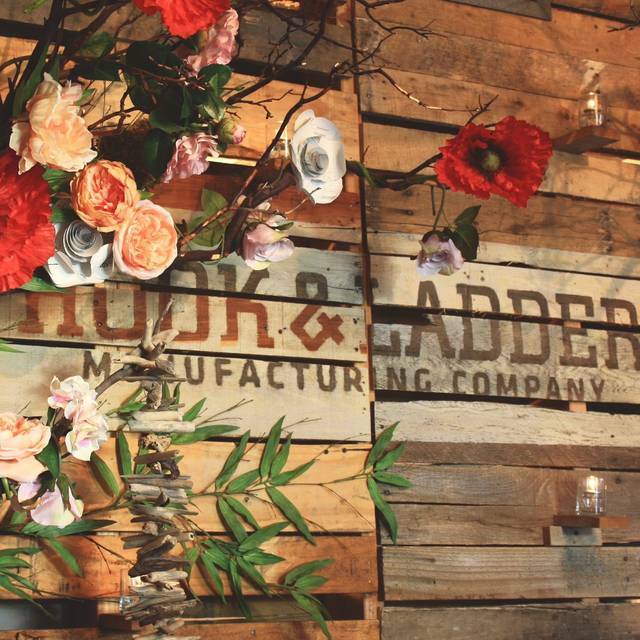 Please contact our Events manager at events@hookandladder916.com. We have various menus available for private parties. We can also do custom menus. 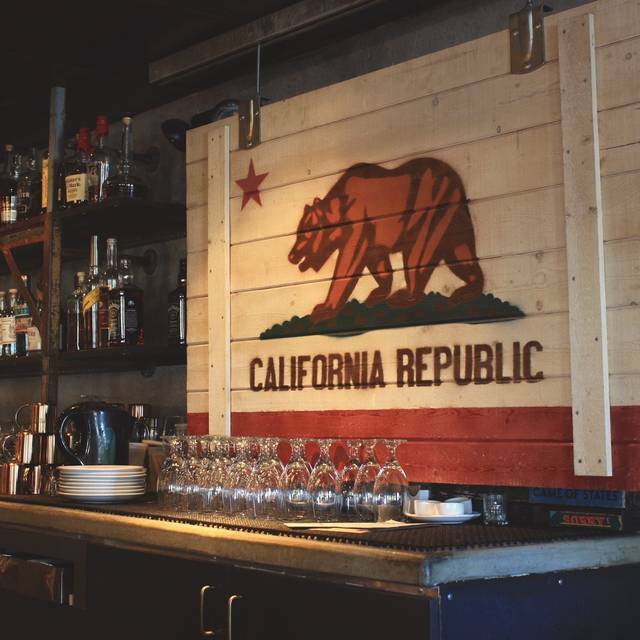 Please contact our Events manager at events@hookandladder916.com. 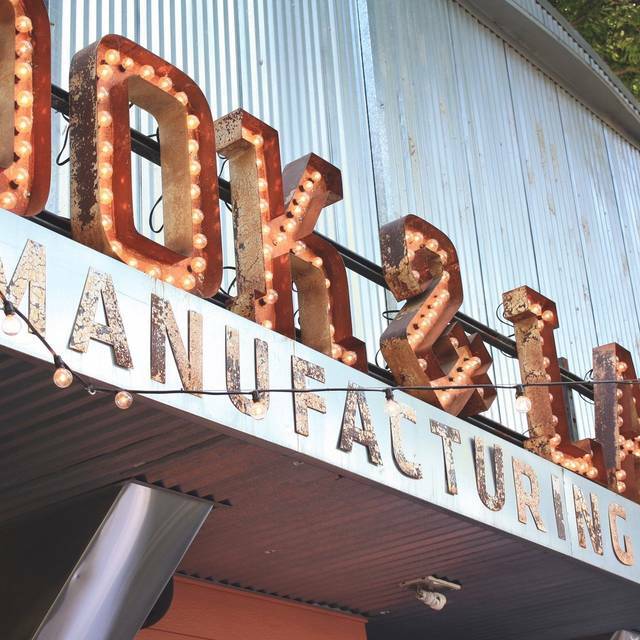 Hook and Ladder Manufacturing Co. represents the bountiful harvest California has to offer and the proud Sacramento history we continue to shape today. We love our city, and we love our state. While looking into Sacramento’s past, we found that the Industrial Revolution was a fundamental time of change in the region. Steam boats pumped up and down the Sacramento River, and the Nation’s first Transcontinental Railroad was nearing completion. This period of bustling commerce and innovation helped lay the foundation of our city. During the year of 1850, a series of fires destroyed much of the city of Sacramento. A volunteer group, “The Mutual Hook and Ladder Company,” assembled to help rebuild and prevent future disasters. We aim to rejuvenate the historic space at 17th & S streets by celebrating this time of industry and growth. Our goal is to build upon our city commerce and contribute to Sacramento’s future. The food is amazing. I especially liked the flatbread appetizer with a hint of lemon. The drinks are creative and there is a great variety of beer on tap. I will be back. The pistachio-stuffed trout was amazing and paired with Lyric pinot noir made our meal scrumptious. Our server was excellent and interesting and struck a fine balance between her friendliness and service and not being intrusive. We look forward to coming back and seeing what other treats are in store. 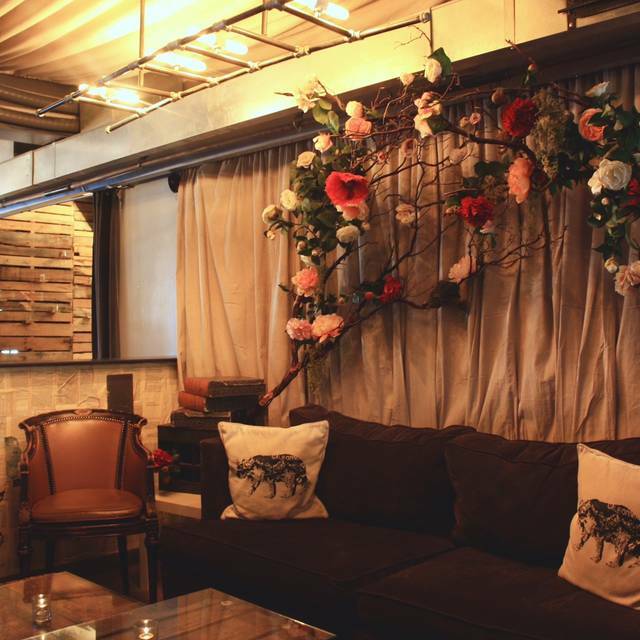 I loved this place the environment was calm and I loved the rustic theme , I would definitely come again ! Had to wait 20 mins after arriving on time for a reservation. Server did not give any recommendations or inform us that certain food was unavailable. Food was too salty. Server never checked in on us after receiving our food. No one filled up our water. Food 2.5/5 Service: 1/5 Ambience: 4/5 Overall: 2.5/5. Decent place, not anything special. While the service was enthusiastic and responsive, I would not return to Hook & Ladder because of the food. The asparagus soup was too salty - I couldn't even finish it (and I love soup)! The ricotta cheese appetizer was unappetizing and the spaghetti squash was just okay. My friend did not like the pepperoni pizza he ordered and the biscotti cookie that came with the dessert tasted more than a day old. We had a fun evening, despite the food, but will not be returning. 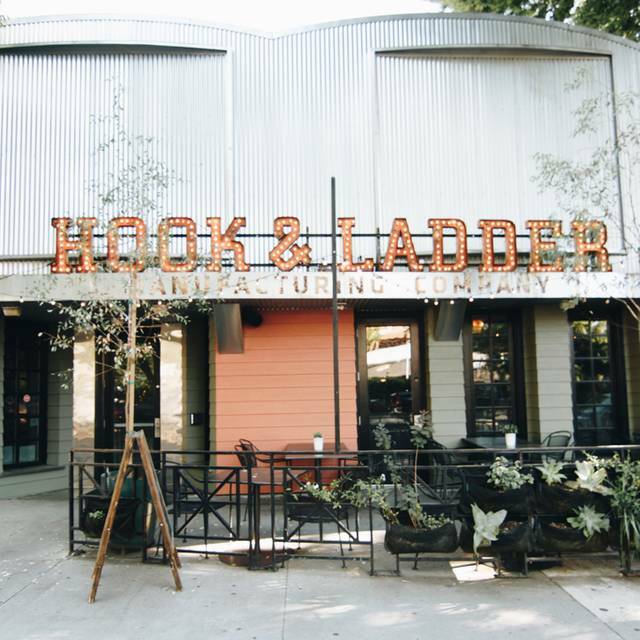 We are so thrilled to have the Hook and Ladder serving top-notch meals from a (short) totally vegan menu. This shows the restaurant's respect for the many life-style choices people make today as well as a concern for the welfare of farm animals. Please continue to expand the vegan choices. There is a large and ever growing community of Sacramentans who understand that this choice is a win for the planet as well as our health. 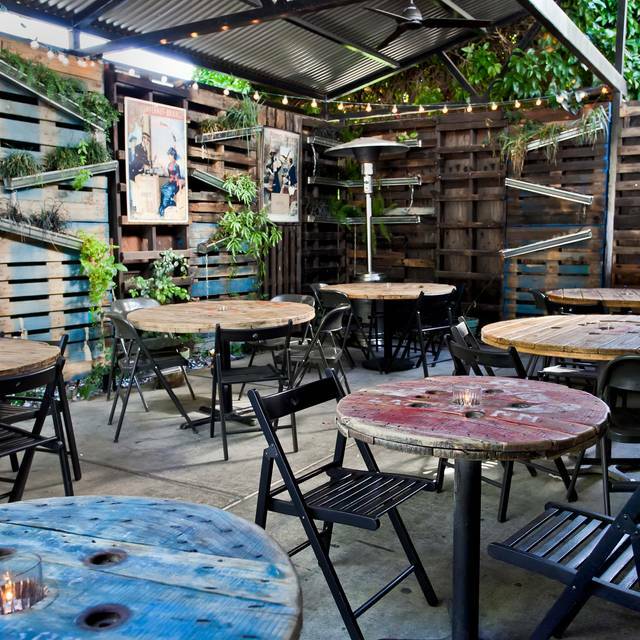 We have recommended your delicious, wonder food and the beautiful patio to many vegan and nonvegan friends. Everyone has agreed that it is superb and really moves Sacramento forward into a conscientious farm to fork community. This is my second visit, and the service was very spotty, the venue was noisy, and I didn't think the menu was very interesting or a very good value. I don't think I'll go again. Loved our dinner at Hook & Ladder Co. The staff was great and made sure we had the best experience. Loved the food. Loved the drinks. Great service! Such a cute place! We were there for Sunday Brunch an it was sooooo good!! We brought our dog with us, sat outside and everything was delicious!! This was my first visit here and I loved it, the food, the cocktail, and the service, could not have been better!!! Service was good... There was a little bit of a wait for the food but the manager brought our food out, apologized and gave a discount! I will be returning for sure! The food was well worth the wait! Everything was great! Service, food, attitude, ambiance were all wonderful. Terrific cocktails and wonderfully conceived wine list. Vegan and vegetarian friendly. Can’t wait to return! 5 stars on all accounts!!! I've been here twice now - once for brunch out on the patio with friends, and once at the bar for a quick bite with my husband before a show. Both experiences were delightful. The drinks are on point and the food tasty. 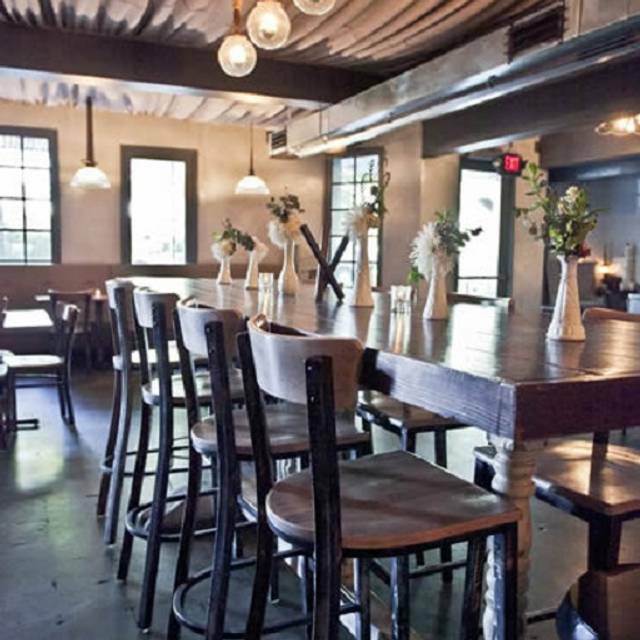 Service is excellent and the ambiance is perfect both day and night. Highly recommend and we will be back! First time visit and we all loved it! Food was delicious and ample.Setting was conducive to table talk. Comfortable chairs. We will be back!!! Great service from our waitress :) great atmosphere as well! 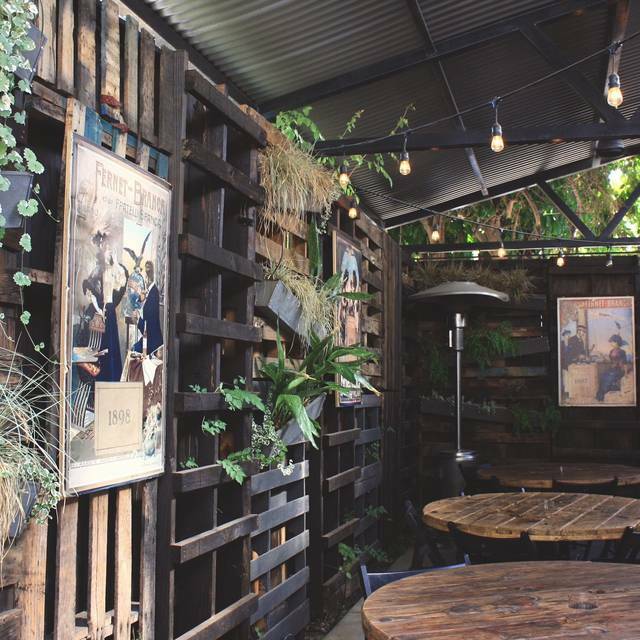 Hook and Ladder has got brunch pretty much down. I had the grilled sausage and a poached egg in a creamy bed of perfectly seasoned grits. I'm not usually a grits person, but this really hit the spot. It had the texture of a soft polenta. My wife had poached eggs over avocado toast. It must have been great because she didn't share a bite! It had a really tasty accompanying side salad of radicchio, olive oil and either a goat cheese or ricotta. The coffee was hot and strong at $4.75 for a bottomless cup. 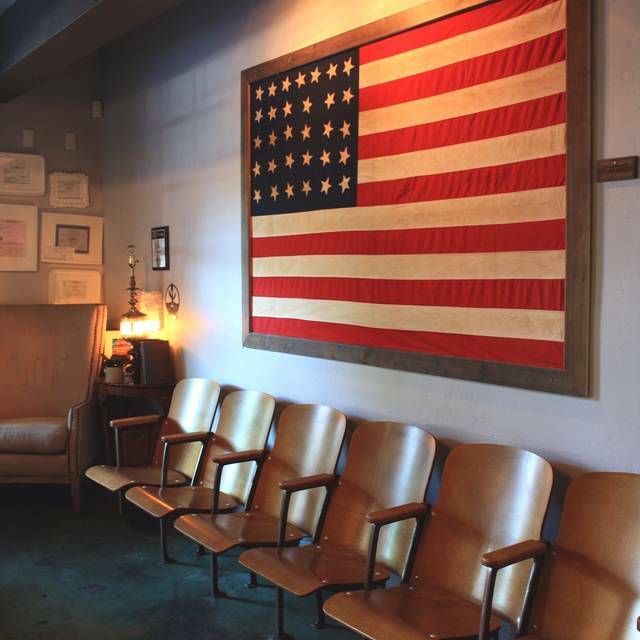 Hook and Ladder excels at mixed drinks but be didn't imbibe. I would have gone for an espresso drink, but they don't have the machinery. Service was sweet, if scattered. It looked like our server was covering the whole room, including guest check in, alone for awhile. She was later joined by others who were very helpful, including making sure we left with everything we came with. A very nice place that isn’t “fancy” but isn’t “casual”, great food and good ambience! We had a large party and our server was very slow. The food was tasty and the ambience was pleasant. Great cocktails. Waitress was awesome, food was delicious, and timing was fantastic. Great vegan menu and bar, perfect for special for special occasions. We came the night before Valentine's Day. The service was impeccable and the food was out of this world. The flavors were incredible! We had all small plates: olives, pork belly, shrimp, sausage and Brussels sprouts. Will definitely come back! Delicious food and comfortable/pretty ambiance. Prices are doable and the food is worth it. Brunch was delicious! Our meal here was totally fine (it was good - just not memorably good). I don't think we'll be back. I made a reservation for my BFF birthday and even told them on the phone. Not once did anyone do anything about her special day. Why have that as an option AND ask me? I didn’t say anything because I kept waiting. I ordered the brick chicken which had a wilted salad under it on top of garbanzo bean pureee. The chicken was ok, the salad was awful, purée-had no flavor. She had the pork this time with whole garbanzo beans. I see what ya did there. Mix up the menu guys. Service was utilitarian. Over the whole “pallet” ambiance. Most likely won’t return. Mostly because the food was so underwhelming. Food was mediocre as was the service...was very disappointed and will not return. We waited a very long time for our appetizers and main course...some of the main dishes were luke warm at best. It was very over priced for the servings and quality. Good lunch spot with many healthy options. Our server was knowledgeable and friendly. Her recommendations were spot on. The cocktails were delicious. The food was terrific, well-seasoned and perfect portion size. Garlic shrimp—out of this world. Chocolate tart, oh my! Asked to get up and leave because they had other reservations. First time, great time. Out for Dine Downtown Sac. Good value we thought. They have a Makers Mark that is bottled and labeled just for them, very nice bourbon. Good wine paired with our dish. We have been there twice. Both time I have had the octopus and the pork belly. Both are excellent. a very fun place for dinner before an event. The clams and linguine were great as was the New York cooked rare. We will going thee again!